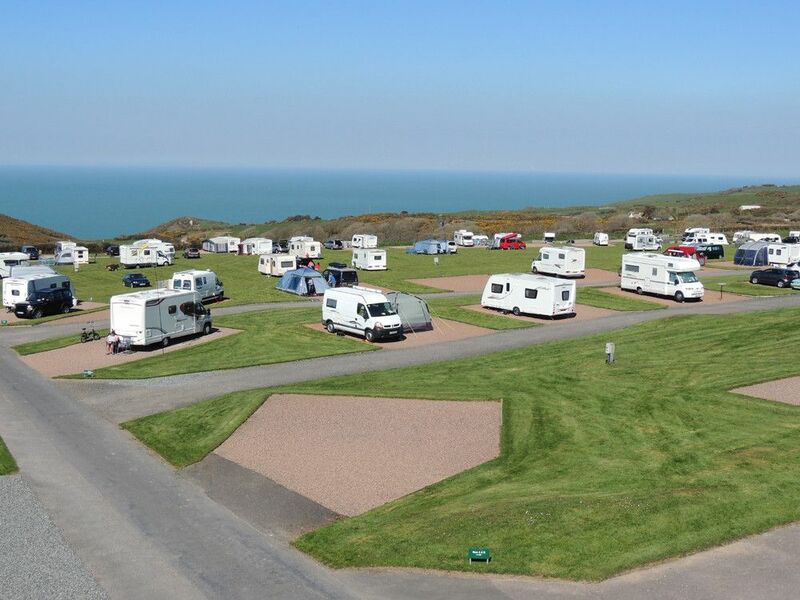 Peaceful, spacious site providing all with panoramic seaviews, set in North Devon on a beef and sheep farm in an Area of Outstanding Natural Beauty. 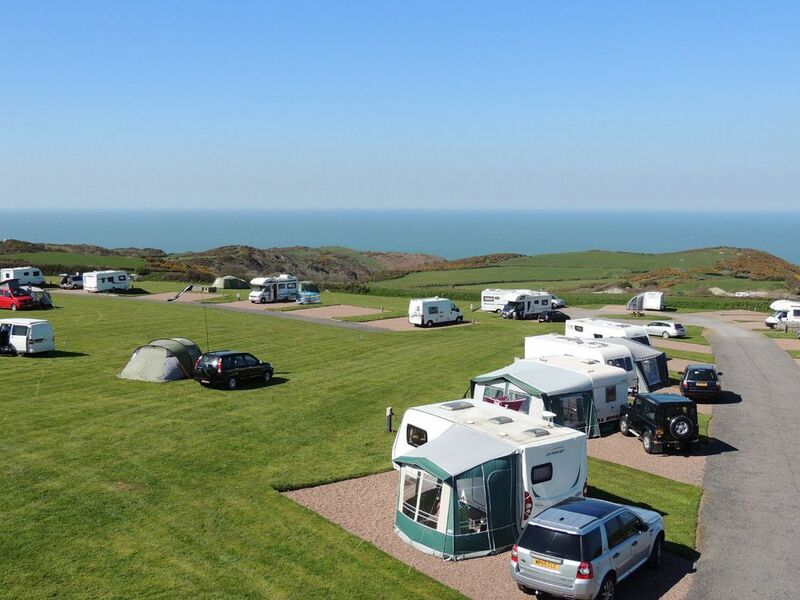 This beautifully kept site offers panoramic sea views, peace and quiet, space, fantastic coastal walking direct from the site and is close to North Devon's award winning beach at Woolacombe. 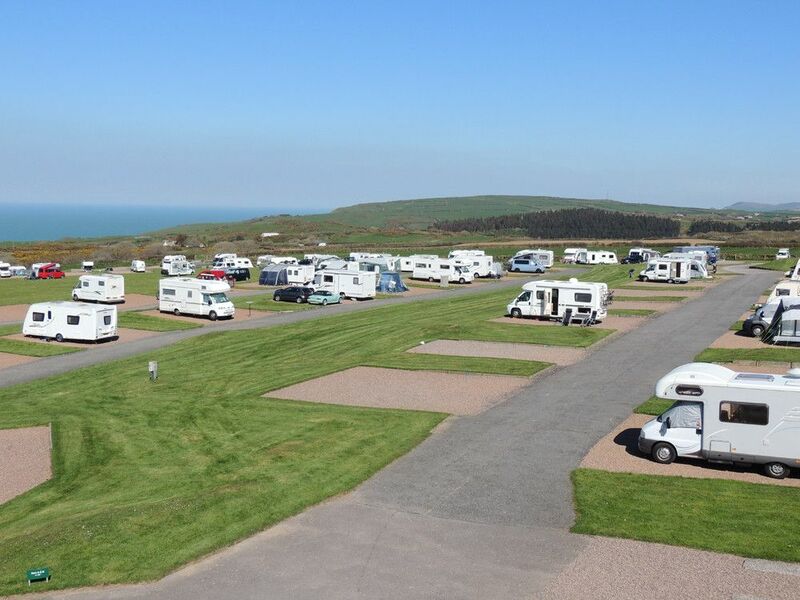 It is a great base for exploring North Devon and Exmoor. 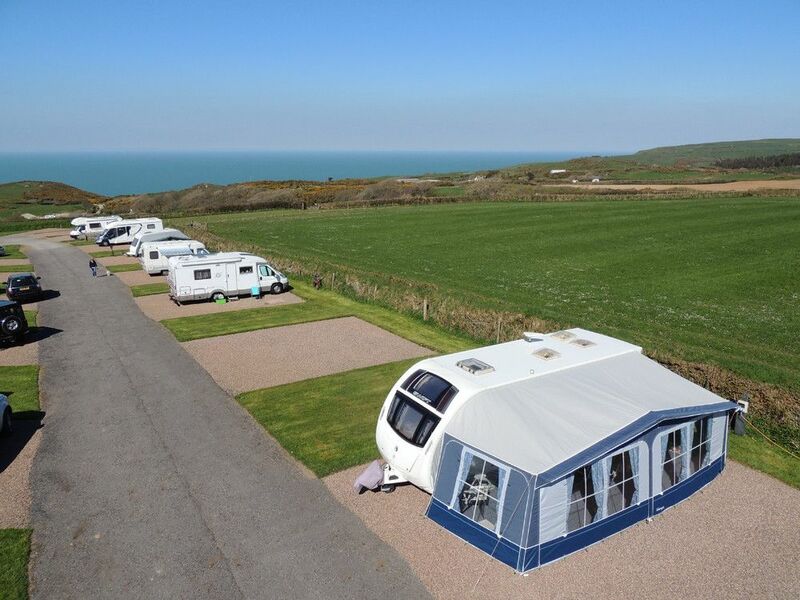 An immaculately kept site offering large generously spaced hardstanding (some fully serviced) or grass pitches, two heated shower blocks, incorporating family bathrooms, disabled shower rooms, wetsuit washrooms and laundrys. 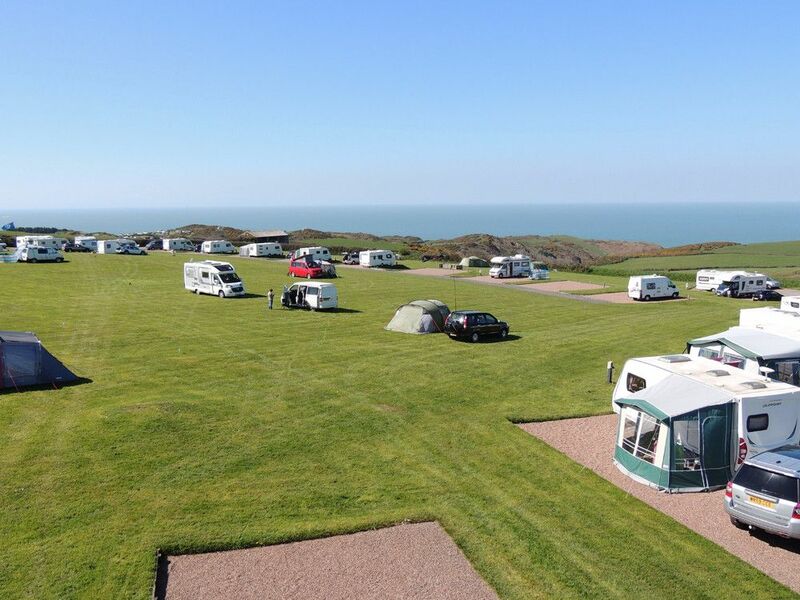 A wonderful campsite shop which is open daily all season offers all the usual requirements plus lots more. 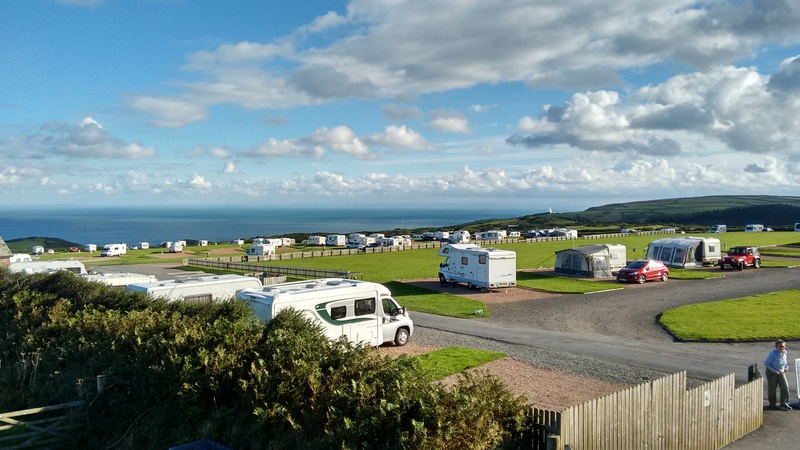 This is a great site out of season too, an abundance of wildflowers, amazing birdlife, lambing and calving at Eastertime on the 600 acre farm, plus wonderful sunsets to relax and enjoy the extensive sea views by. 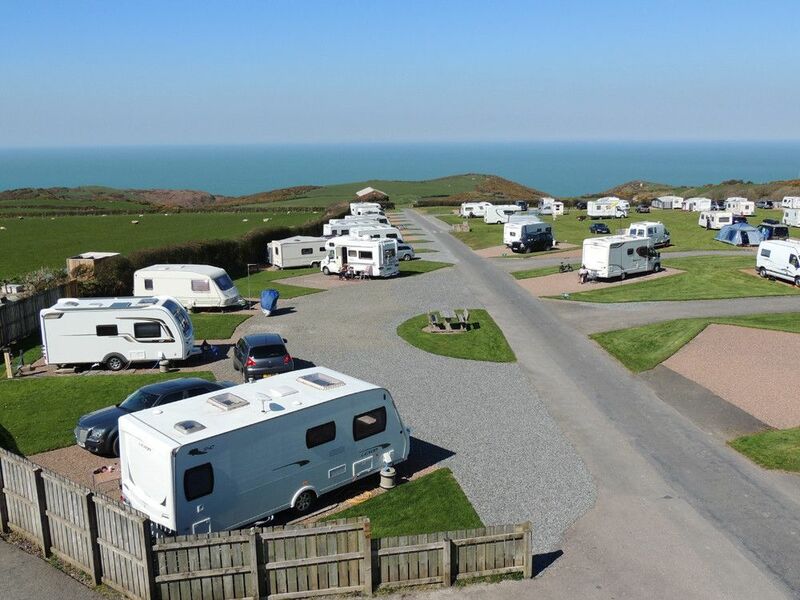 There is easy access to local pubs and restaurants just a mile along the footpath to Mortehoe and a bus stop at the site entrance with regular services to Mortehoe, Woolacombe, Ilfracombe, Braunton and Barnstaple, exploring from here is easy.